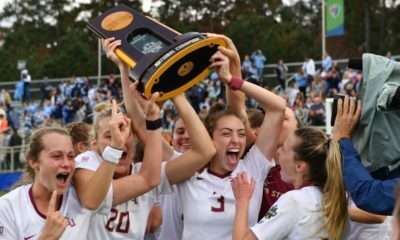 Last week only two teams with perfect seasons remained, but with Boston College’s 2-1 loss to Wake Forest Thursday night, there now only remains one: Washington State. 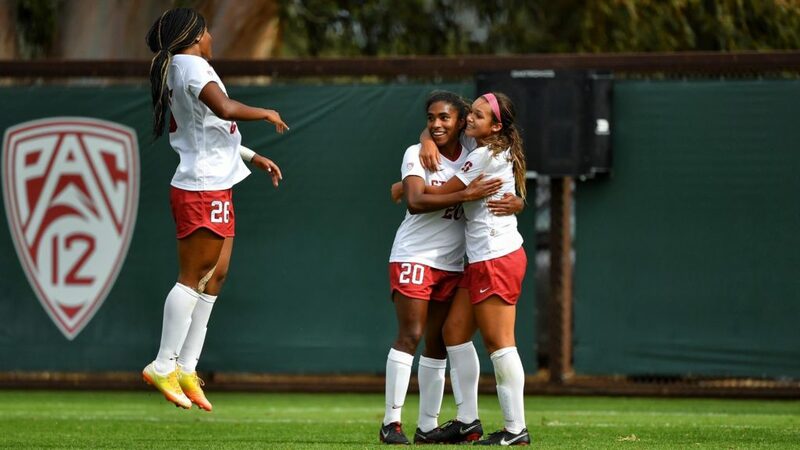 Four other teams still remain undefeated on the season though, including top-ranked Stanford, whose two big conference wins against ranked opponents over the weekend extend their undefeated streak to 33. As is becoming the trend this season, a number of other Top 25 teams suffered big losses over the weekend, jeopardizing their ranked statuses. Here’s a quick recap of some of the biggest action in this weekend’s NCAA schedule. Many would have expected Stanford’s Thursday night clash with rivals UCLA to be a defense-heavy, low-scoring affair, but it was anything but, as the top-ranked Cardinal defeated No. 16 UCLA, 3-2. Catarina Macario, whose sophomore season has paled so far in comparison to her breakout freshman campaign, scored a brace in the win, with freshman forward Sophia Smith scoring the unassisted game-winning goal, her first of two on the weekend, in the 78th minute. Stanford’s three goals were bookended by UCLA’s pair, the first of which was scored by Olivia Athens via penalty in the 12th minute. Viviana Villacorta scored less than a minute after Smith’s goal for the Cardinal, but the Bruins were unable to equalize in the final 10 minutes of the game. UCLA finished out the weekend with a rousing 4-0 road win over Cal Sunday afternoon, while Stanford defeated the No. 2 USC Trojans in overtime in the NCAA Game of the Week. The Boston College Eagles are perfect no more, as they fell 2-1 in overtime to the Wake Forest Demon Deacons on Thursday night. The Eagles’ perfect start to their season saw them jump to 11th in the NCAA rankings, but the loss to Wake Forest will surely see them drop multiple spaces. Boston College opened up scoring for the day in the 12th minute when sophomore Sam Coffey’s corner kick was one-timed into the back of the net by redshirt junior Kayla Jennings. The Demon Deacs then equalized just after the 30-minute mark when senior midfielder Bailey Feist split a pair of defenders with a pass for forward Mariah Lee, whose shot deflected off of goalkeeper Alexis Bryant’s leg before going in for the equalizing goal. Locked at one goal apiece for the remainder of regulation, the match was sent into overtime, where redshirt sophomore Estelle Laurier scored the golden goal to hand Wake Forest the upset win at home. 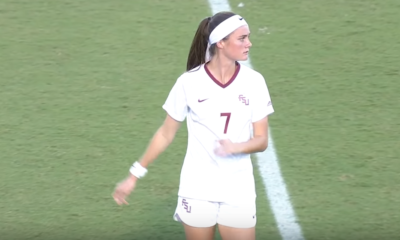 Boston College bounced back with a 2-1 road win over Clemson in which junior striker Olivia Vaughn tallied a brace, while Wake Forest ended their weekend with a 5-1 loss to Virginia on Sunday. It was not a good week for the No. 21 North Carolina State Wolfpack, who opened up the week with a satisfactory 1-1 draw against No. 15 Duke before falling 2-1 to unranked Notre Dame on Sunday. 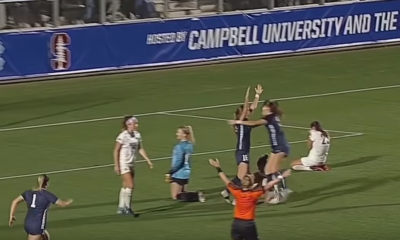 Fifth-year forward Karin Muya put the home Fighting Irish on the board first in the fifth minute, but NC State answered just five minutes later courtesy of Taylor Porter to bring the game back level. 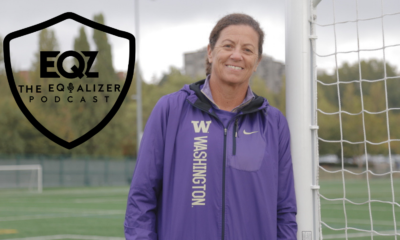 The game would remain locked 1-1 until the hour mark, when Notre Dame’s Eva Hurm fired off a long-range shot that deflected off the crossbar and fell in front of the goal, where junior striker Jen Westendorf was able to knock it home for what would be the game winner. 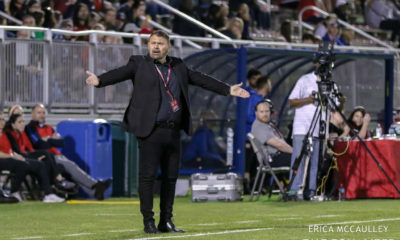 The 19th-ranked South Florida Bulls ended their weekend on the road with a 1-0 double overtime loss to unranked Temple. 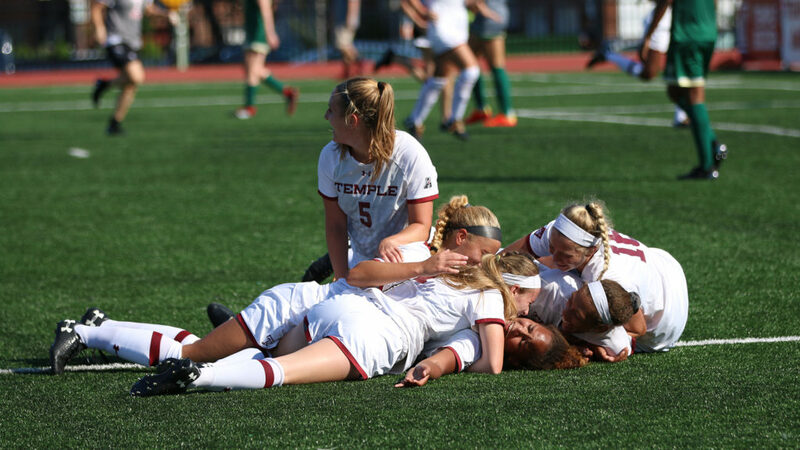 The game remained deadlocked throughout regulation and the first overtime period, but a golden goal from freshman Gabriela Johnson in the 105th minute gave Temple their first win over a ranked opponent in program history. The Temple defense is also worth noting, as they prevented USF forward Evelyne Viens, entering the weekend tied for second in the nation in goals with 11, from registering a shot in the entire contest. The No. 8 Texas Longhorns dropped their first match of the season Sunday afternoon on the road against TCU. 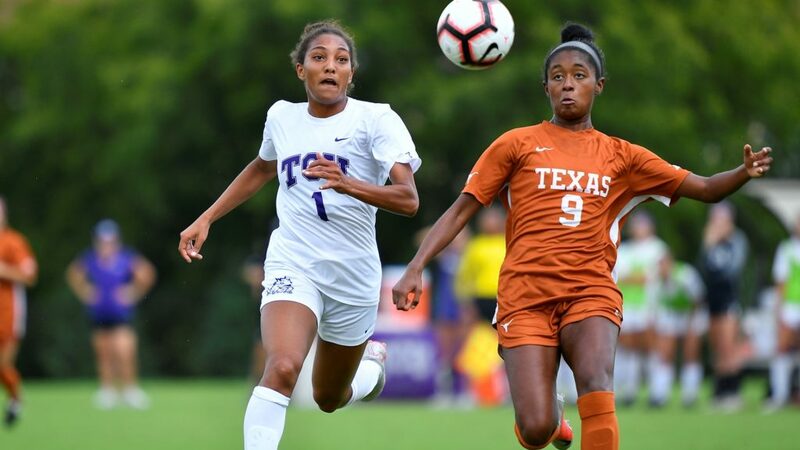 A 78th-minute strike from sophomore forward Yazmeen Ryan was the difference maker for the Horned Frogs, who improved to 8-3-2 on the season with the win. Despite a heavy attacking presence by the home side, the lone tally of the match came deep in the second half, when a long ball over the top fell to Ryan on the right wing. 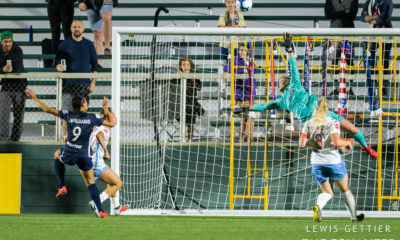 Ryan settled the ball before getting a step on her defender to go one-v-one with Texas keeper Nicole Curry. Ryan slid her shot past Curry and into the bottom left corner of the goal for her second game winner of the year. – With their home wins over Oregon (2-1) and Oregon State (2-0) this week, No. 9 Washington State are last remaining perfect team in the nation. – The University of North Texas Mean Green won their 45th straight home conference match with their 4-0 win over UTSA on Sunday. – Boise State junior forward Raimee Sherle scored four of Boise State’s five goals over the weekend, including both game winners, to improve her nation-leading goal total to 15 on the year.